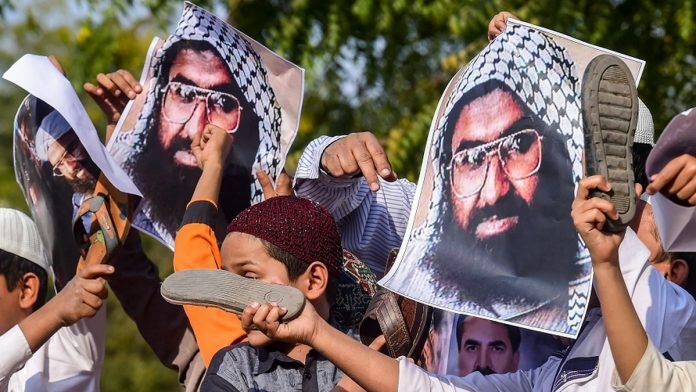 China, which holds veto powers in the UN Security Council, has thrice blocked India's proposal to designate JeM chief Masood Azhar a terrorist. Beijing: Hours before the UN Security Council is to take up a resolution on listing Jaish-e-Muhammed chief Masood Azhar as a global terrorist, China on Wednesday hinted that it may once again block the move, saying only “the solution that is acceptable to all sides” is conducive to resolve the issue. The proposal to designate Azhar under the 1267 Al Qaeda Sanctions Committee of the UN Security Council was moved by France, UK and the US on February 27.